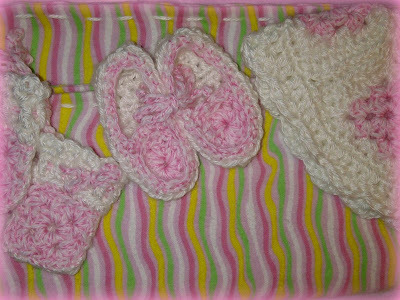 Sweet pink baby gift for my neighbor's sweet baby girl-to-be. Tiny mittens hat and booties crocheted with tiny pink granny squares. All wrapped up with a soft flannel blanket.